A completed booking form and full payment is required prior to the commencement date of the specified program. Your place in a program is not confirmed until full payment is received. Payments can be made online via the booking form or by arrangement. Payment in full must be completed prior to the commencement of the program. A deposit or full fees must be paid at the time of booking to ensure a position is held. Payment is made online at the time of booking. If you have paid a deposit at time of booking please go to https://therockacademy.com.au/payment/ page to pay the balance of fees. We understand that from time to time illness or other family priorities take precedence and so cancellation is accepted until the Friday prior of program commencement with a full refund. Refunds are available within the Cancellation deadlines. Fees are non-refundable once program commences. Refunds are not given for missed days. Refunds may take up to 10 days for processing to be completed. Program are subject to sufficient enrolment numbers. Programs that do not meet minimum enrolment levels may be cancelled. Participants will be notified by email of a cancellation 5 days prior to the program start date. In the case of cancellation of a transfer, credit or full refund will be issued. Refunds may take up to 10 days to process. I agree that Rock Academy/Creative Youth and its staff and mentors will in no way be liable for the loss of property or any damage or injury that may be incurred by any of my children in attendance of the holiday program to the full extent permitted by law.  Rock Academy/Creative Youth Australia reserves the right to change mentors and cancel, change or reschedule workshops. All information is correct at time of printing. I authorise the supervisor in charge, if unable to communicate with me, permission to provide my children with such medical or surgical treatment (including the administering of a general anaesthetic) as may be deemed necessary by any medical practitioner, and I authorise my child to be transported by an ambulance service and pay all medical, hospital and ambulance expenses incurred by TeamKids on behalf of my children. consent to the use, publication and reproduction by Rock Academy Australia, their employees, officers, contractors or agents of photographs (‘Photographs’) and videos (“Videos”) of my child for the purposes of advertising, media publicity, general display or for any other related purposes in whole or in part, including on the Rock Academy websites or related publications, and as a consequence, Photographs and Videos may be transferred outside Australia. agree that the use, publication or reproduction of the Photographs and Videos may occur by any medium, including but not limited to newspapers, magazines, brochures, television advertisements, promotional content and websites, including social media outlets. agree that the rights granted to Rock Academy/Creative Youth Australia under this release and waiver form are perpetual and I hereby waive any interest that my child or I may have in the copyright to the Photographs and Videos now or at any future time. I acknowledge that neither my child nor I expect to receive any payment or any other consideration in connection with the taking, use or storage of the Photographs and Videos. acknowledge and agree that any use of the Photographs and Videos is, at the date of publication, made in good faith and is not intended to defame or offend my child or bring my child’s reputation into disrepute. release Rock Academy, their employees, officers, contractors and agents from any liability (including consequential loss) connected with the publication, reproduction, or release of the Photographs and Videos. Rock Academy/Creative Youth makes no ownership claim on the publishing, mechanical and performance rights of any original music created during the any of our programs, those rights remain the property of the artists and writers outside of broadcast of videos as described above.